The Nautique WWA U.S. Wakeboard National Championships was everything a Nautique Wake Series event is all about. Top amateurs and pros came out to ride behind 3X wakeboard boat of the year, the Super Air Nautique G23 and celebrate the growth and progression of wakeboarding behind the industry’s best. Spectators packed the shore and lined the course with boats on the water to join in on a weekend that was all about competition and fun. Each Nautique Wake Series event brings wakeboarding’s extended family of all ages and skill levels together for high fives, smiles and a great competitive experience with locations in four different countries. It just doesn’t get any better. Nautique athletes put it all on the line in Friday’s qualifying rounds to make it to the big show on Saturday. The crowd at Dallas Landing Park in Acworth, GA had the opportunity to witness wakeboarding at its very best behind the Super Air Nautique G23 as riders incorporated double-flips and technical tricks in their runs that until the introduction of the G-series were impossible. The semi-final heats were stacked, leaving no room for error as Raimi Merritt, Dean Smith, Noah Flegel, and Mike Dowdy put together impressive runs to earn their spot in the final. Merritt was on fire, executing a flawless run behind the Super Air Nautique G23 that showcased the talent that continues to keep her at the top of the sport. When the water settled, Raimi took the podium in second place in a battle that was nearly too close to call. The crowd went absolutely wild during the Pro Men’s final as the Super Air Nautique G23 generated an intensity with its world-class wakes that launched riders in front of a huge line of boats and packed beach. Nautique rider Noah Flegel’s natural gift shines during intense moments where his relaxed, raw power seems effortless. Flegel continued his assault on all things water with a third place Nationals finish heading into the Nautique WWA World Championships. The Nautique WWA U.S. National Championships marked the 4th stop of the Nautique Wake Series, which concludes at the Nautique WWA World Championships August 25th -28th in Toronto, CA. 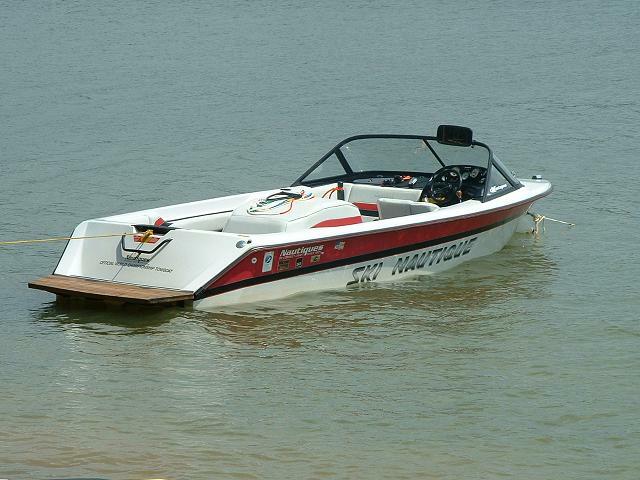 For more information on the only contest series that puts riders first, please visit http://www.nautique.com/events/nautique-wake-series.